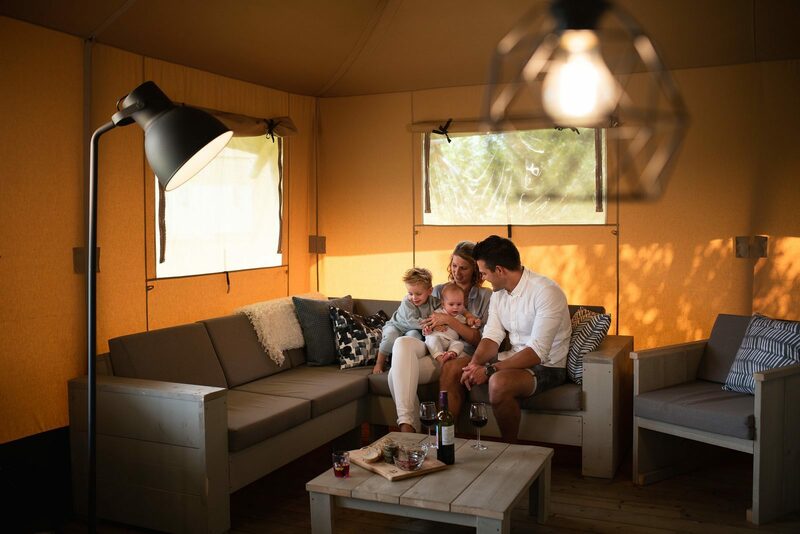 You can relax for a while in the Veluwe lodge. 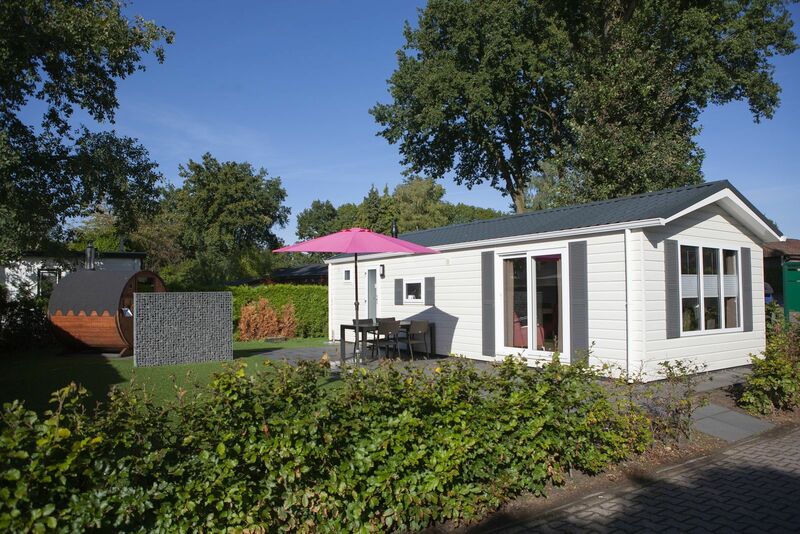 Book this chalet with sauna at Recreation Park De Boshoek, and enjoy your stay in our luxurious chalet on the Veluwe. 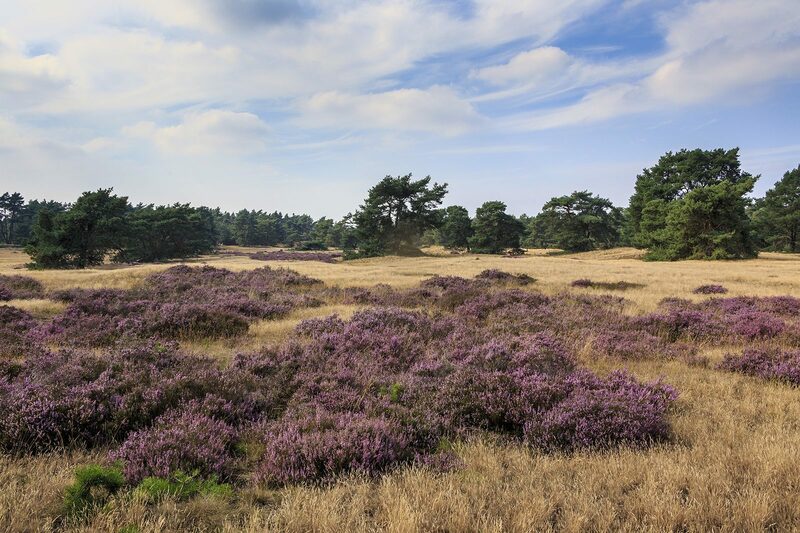 The ultimate trip on the Veluwe in one of our beautiful Veluwe lodges. Go out on your bicycle or go on a wonderful forest walk. 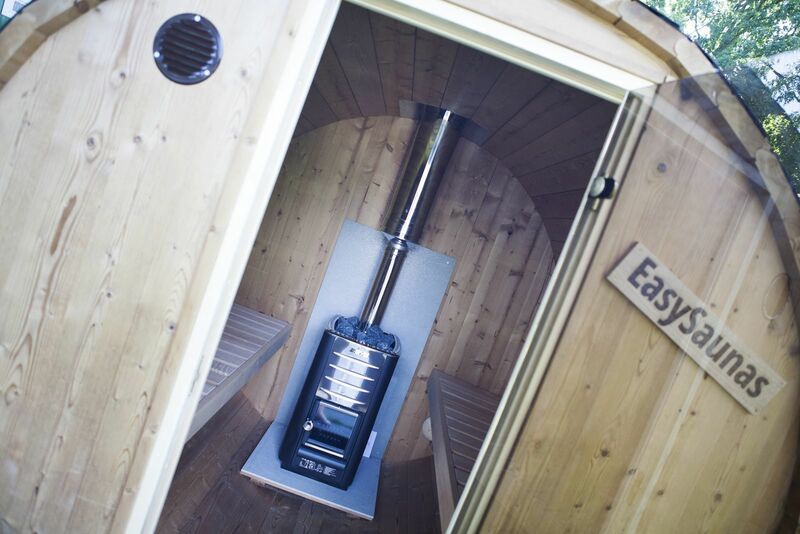 After enjoying a lovely day you can completely relax in our spacious chalet with sauna. 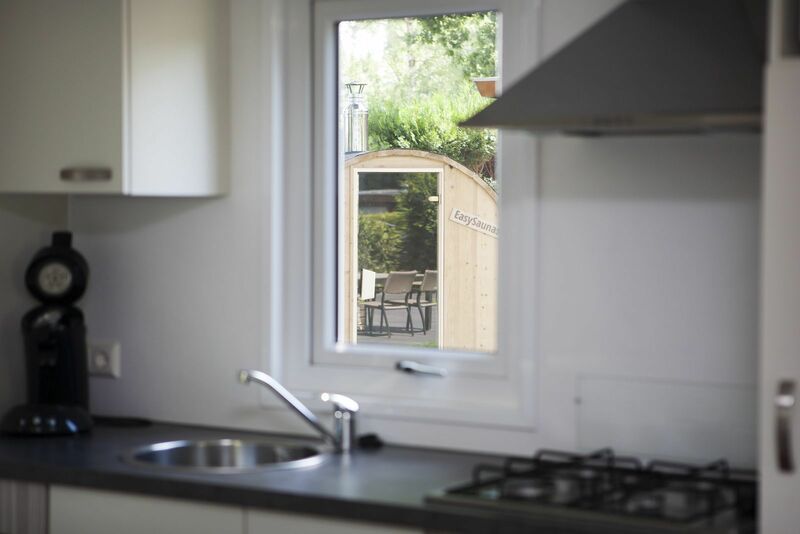 The lodge has been furnished in Veluwe style, and has been supplied with all amenities. Our lodge has, besides a sauna, two spacious bedrooms, a bathroom with spacious shower, toilet and washbasin and a fully equipped kitchen. You will not only enjoy a wonderful stay in our bungalow, but also the lovely wood-fired (barrel) sauna on your premises. 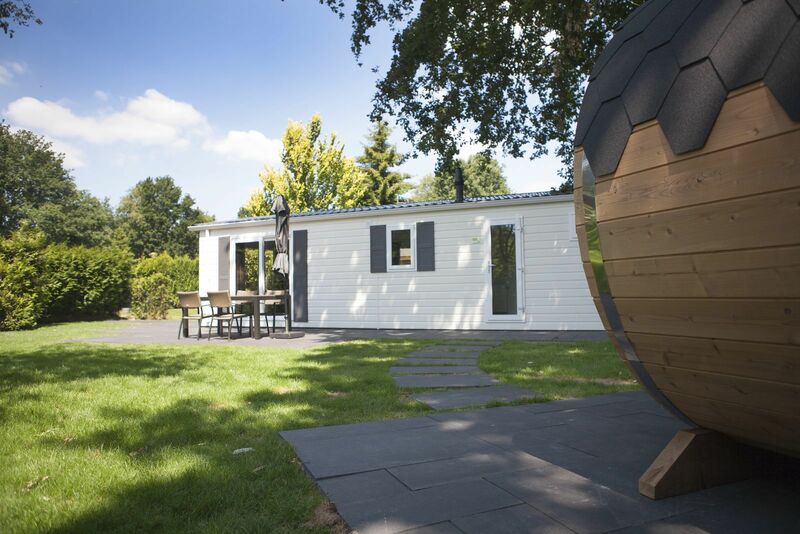 You can completely relax in Veluwe style your quiet, private wood-fired sauna. The sauna near our chalet is spacious and can be used by four people. 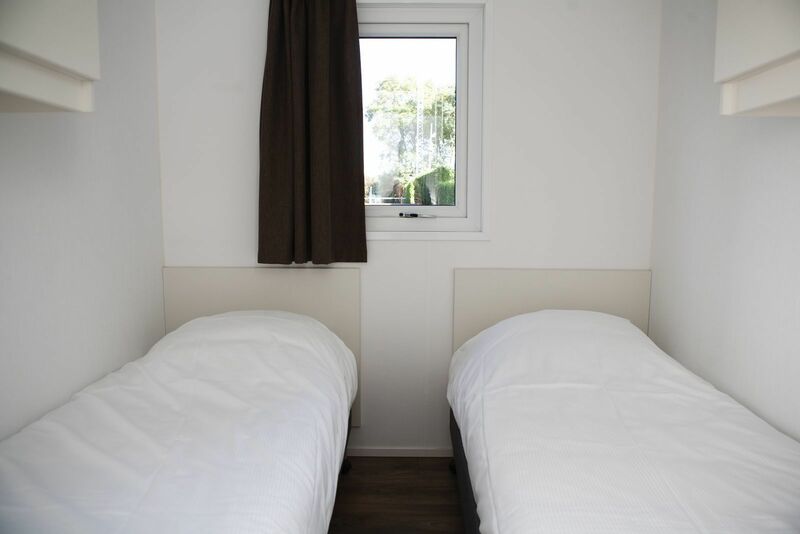 Book your chalet with sauna now online, or ask without obligations about all possibilities for a holiday in a chalet with sauna. An extensive animation programme for all ages is available during all school holidays! 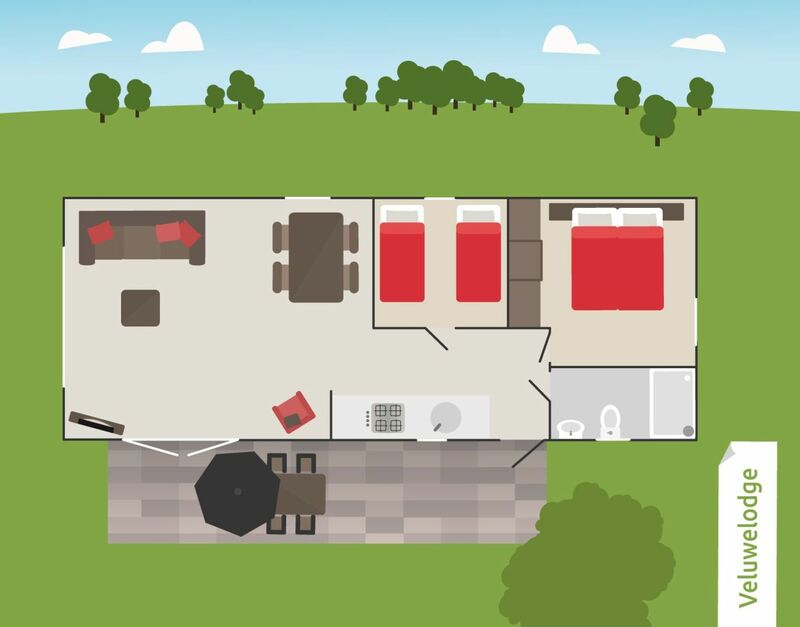 Relax in a chalet with sauna and jacuzzi! One of our chalets even has a sauna and a jacuzzi! Now that's something to enjoy! 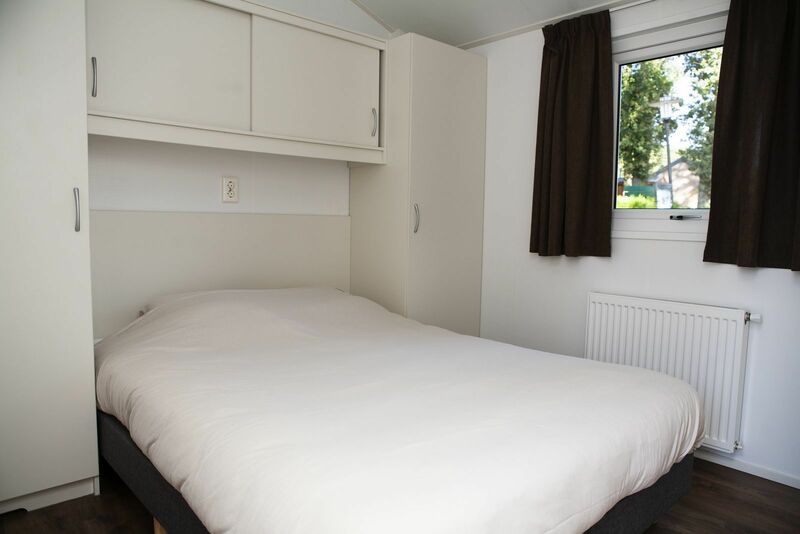 This is Veluwe lodge White 32. 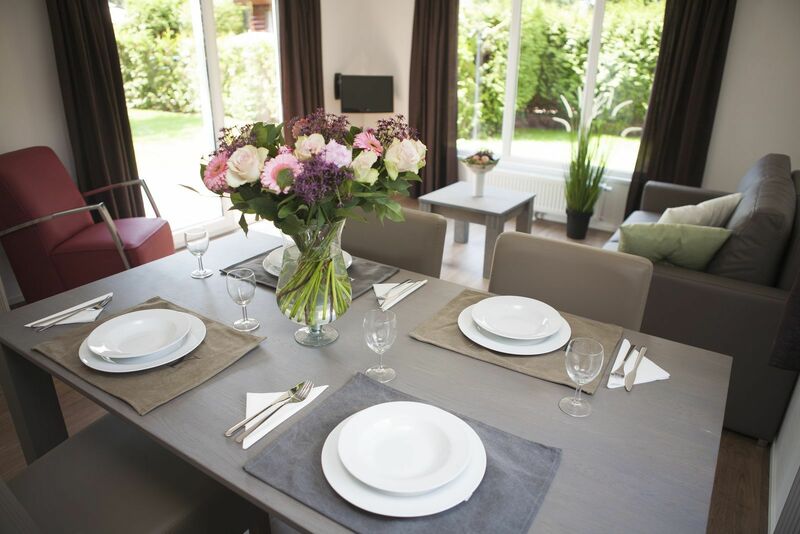 You can select this during a preference booking, so you will be sure to book this Veluwe lodge with sauna and jacuzzi! March 2019 - jeroen d.
Er is van alles te doen op het park voor kinderen van alle leeftijden. Knutselen, contact met dieren, speeltuinen, overdekt zwembad en minidisco. Als de kinderen blij zijn, dan zijn de ouders dat ook. Leuke medewerkers op de camping. Iedereen is even vriendelijk. De WiFi werkte perfect. Fijn dat het er dit jaar bij in begrepen zat. January 2019 - Cayo D.
November 2018 - Daan T.
October 2018 - Bram W.
October 2018 - Gabrielle B.
Alles! Wir waren positiv überrascht und sehr zufrieden. October 2018 - Jörg P.
October 2018 - Yaron S.
Een net park en goede voorzieningen. August 2018 - Josine P.